A new book that explores the cultural manifestations of the relationship between dogs and Jews from ancient to contemporary times has been co-edited by Phillip Ackerman-Lieberman, assistant professor of Jewish studies and law at Vanderbilt. …A Jew’s Best Friend? 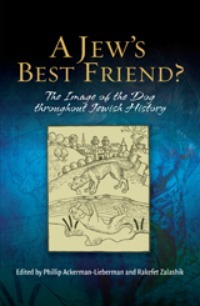 The Image of the Dog throughout Jewish History, co-edited by Rakefet Zalashik, covers geographical areas ranging from the Middle East through Europe and to North America. Listen to Divinity School Librarian Chris Benda’s interview with Ackerman-Lieberman.